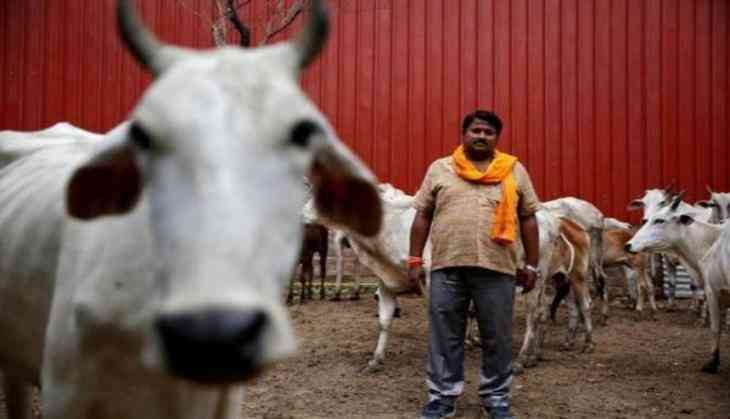 Home » india news » Cow vigilantism comes to Delhi: Did animal rights groups help Gau Rakshaks in Kalkaji? Cow vigilantism comes to Delhi: Did animal rights groups help Gau Rakshaks in Kalkaji? Did Gau Rakshaks collaborate with animal rights activists to attack cattle traders in Kalkaji? The terror of cow vigilantism that has spread across the country in the past few years, has now reached Delhi. Late on Saturday night, vigilantes attacked three cattle traders in Kalkaji in South East Delhi. The most shocking aspect of the case is that the animal rights activists are alleged to be behind the attack. On Monday, the Delhi Police arrested Shashank Sharma who has claimed to be a member of the NGO People for Animals. Union Minister Maneka Gandhi is listed as the chairperson of PFA on its website. The police has also filed a case against the three injured cattle traders under the Prevention of Cruelty to Animals Act on a complaint filed by, incidentally, PFA. The injured cattle traders were let off on bail on Sunday evening. The traders - Rizwan, Ashu Qureshi and Kamil - are from Pataudi in Haryana and they were transporting buffaloes to the MCD's slaughter house at Ghazipur in East Delhi. At around 11:45 PM on Saturday, over a dozen vigilantes stopped their truck near the Kalkaji Mandir and mercilessly thrashed Ashu, Kamil and Rizwan. The police arrived on the scene but they could not identify the attackers. A case has been registered against "unknown persons" at the Kalkaji police station and the police has begun its investigation. "We haven't been able to get many details on the attackers," said Ved Pal, SHO of the Kalkaji police station. Ehtesham Hashmi, the lawyer of the victims, claims that the police has registered a case against the attackers under "mild clauses". For instance, the police is said to have invoked Section 323 of the IPC (voluntarily causing hurt) when it could have put Section 307 (attempt to murder). Catch spoke to Khadeeja Farooqui, an eyewitness who was present when the attack took place. Farooqui was passing through the area when she saw some commotion on the road and witnessed the men being thrashed by vigilantes. She said that she immediately informed the police control room about the attack. "I was returning from Jamia Nagar to Vasant Kunj. At around 11:45 PM, I noticed that there was a major traffic jam near Kalkaji Mandir. A group of around 15 people were attacking the people in the truck and trying to climb over it." "Most of the attackers were sporting a tilak on their forehead and shouting slogans like 'Jai Shri Ram' while trying to bring down the people from the truck," Farooqui told Catch. Interestingly, Farooqui claims that the goons were accompanied by two female vigilantes as well. "There were two women as well who were inciting people to come and thrash the cattle traders. They were inviting passers by to join the vigilantes in thrashing the men," she said. It is also to be noted that the vigilantes chose to attack the cattle traders opposite a popular temple. The eyewitness also claimed that the police's main concern seemed to have been to clear the traffic congestion rather than saving the lives of the men who were being attacked. Curiously, the police hasn't taken Farooqui's version, even though she waited outside the Kalkaji police station for hours to tell the cops what had happened. Though the police hasn't officially said who the attackers were, several media houses have reported that the attackers were Gau Rakshaks. But some reports also suggest that PFA volunteers were also there among the attackers. It is on the complaint of PFA's Gaurav Gupta that a case has been registered against the three cattle traders. Gupta however claims that he reached the scene later and his volunteers had nothing to do with the attack. Strangely, the PFA website, which reportedly listed Maneka Gandhi as its chairperson, became defunct soon after the media began reporting in the NGO's alleged involvement in the attack. This is not the first time that an animal rights organisation has unleashed violence on Delhi's streets. On the night of 21 June, 2014, barely a month after Narendra Modi took over as Prime Minister, animal welfare activists attacked a truck transporting cattle near ITO in Delhi. Like Ashu, Kamil and Rizwan, even in that case the vigilantes thrashed the cattle traders. They also torched the tempo in which the cattle were being transported. Around 50 buffaloes reportedly died in the violence initiated in the name of animal protection. Even in that case, PFA's name came up in connection with the attack. At that time Maneka Gandhi had distanced herself from the attackers, something that she repeated even after the Kalkaji attack. According to reports, PFA and other animal rights activists carried out the “raid” in coordination with RSS workers. In both these cases, the Delhi Police filed two FIRs - one against the attackers and another against the victims in the name of cruelty to animals. The only difference was that a rioting case was also filed against unknown persons as the vigilantes had set a vehicle on fire. Incidentally, a female vigilante featured even in the ITO attack. According to the Indraprastha Estate Police, the attackers in the 2014 incident were led by Gaurav, Saurabh and Gunjan. The police claims that while 50 buffaloes died in the ITO incident, the surviving ones were taken away by animal welfare activists. The name of Maneka Gandhi's sister Ambika Shukla had also come up in connection with the attack. Coming back to the Kalkaji violence, Tayyab, the father of Kamil, one of the victims, says that cattle-trade has become a life-threatening profession. "But we have no choice. This is what we have done since centuries. We are not involved in anything illegal,” he said. This is echoed by Mohammad Zahid Qureshi, the Pradhan of the victims' village. “We keep hearing about Gau Rakshaks and feel scared that we may not return alive. But we have to support our families,” Qureshi said. Tayyab rushed to Delhi soon after he heard about the attack on his son. He left for Pataudi at around 9 PM on Sunday, after his son and the other victims were released on bail. If Farooqui's version, the alleged involvement of PFA and the precedent of the ITO attack is seen together, it does seem that animal rights activists and right wing vigilantes are acting in close coordination to target cattle traders. TWEET THIS 'They thrashed cattle-traders & shouted Jai Shri Ram. Even women involved': Kalkaji attack eyewitness Did Gau Rakshaks collaborate with animal rights activists to attack cattle traders in Kalkaji?